April is upcoming and I am handing out Easter Apples Eggs! iOS7 has been out for some months now, so this post may seem overdue. In defense, I was initially an un-fan of the new OS. Over time it has shown itself to be ‘a good thing’. So now, having made my peace with it, I am highlighting some of the better and under-exposed features. My favorite of iOS7 features. Swipe down from Home screen. Previously, you had to swipe all the way to the left most Home screen page. 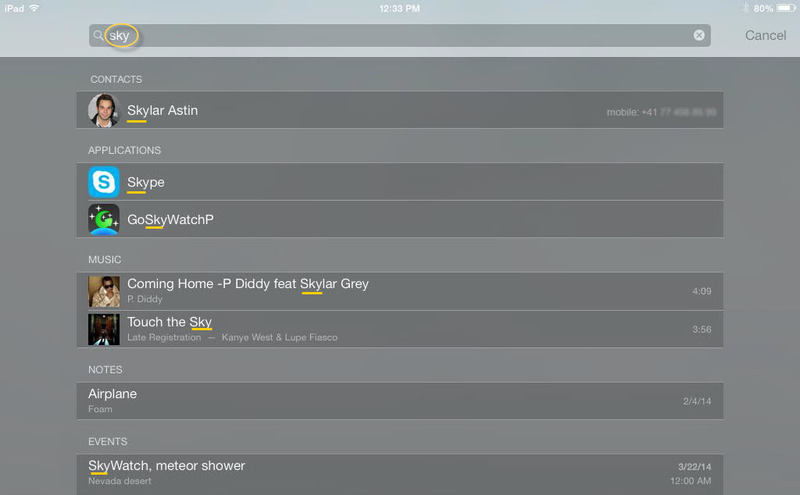 Now you can access Spotlight Search from any Home screen page. Use this to locate everything (i.e., apps, messages, contacts). Swipe up from bottom of the screen to access Control Center. From here you have access to key features (camera, airplane mode, music) without having to navigate to the Settings app.This feature can also be disabled if it interferes with a particular app’s swipe gesture. To manage settings, open the Settings app and tap Control Center. 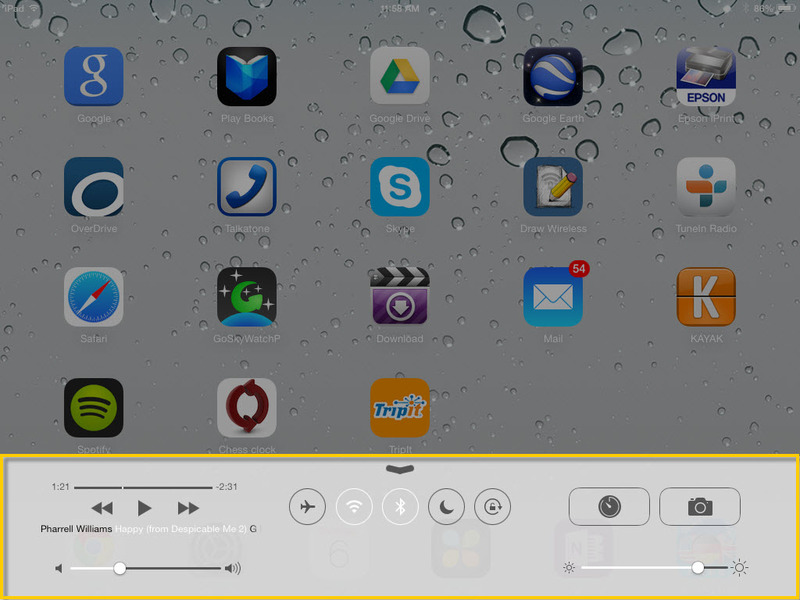 Double press the Home button to display running apps, then Flick app up & away to terminate. 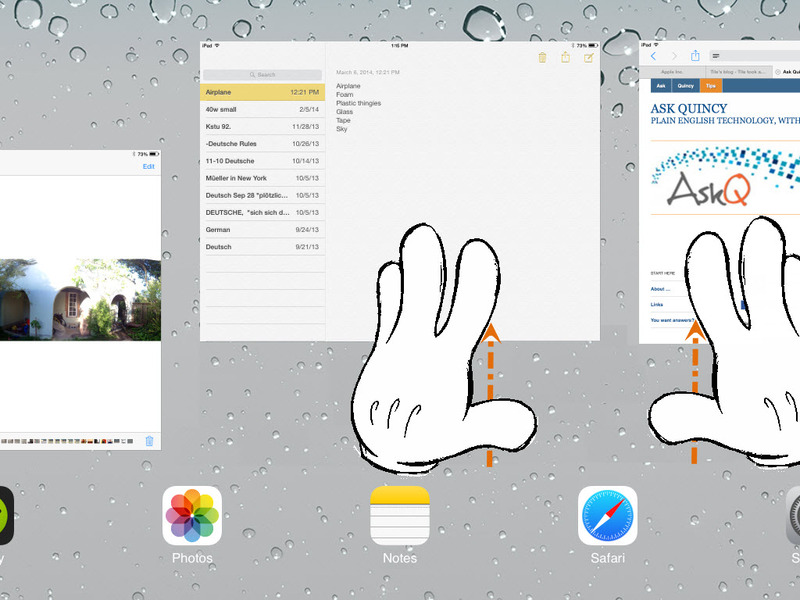 This gesture is far more satisfying than the previous ‘click the x‘ method.Bonus: you can flick-close multiple apps at a time! From the Camera app, Press & Hold Capture button to take rapid fire shots. Release button to stop. This makes it easier on us iShutterBugs to capture that three-pointer. *also a release mechanism to cope with road-rage. Give your Home button a rest. 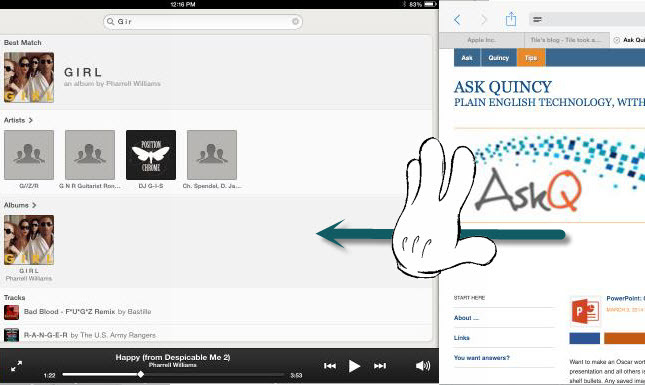 Gesture (five-fingered** swipe) left or right to get back to your previous apps.